Caleb grew up in Warsaw, IN and attended Ball State University while playing center for the Ball State University Football team. After attending Ball State, he received an associate’s degree from Ivy Tech Community College. He became a certified chef through the American Culinary Federation. 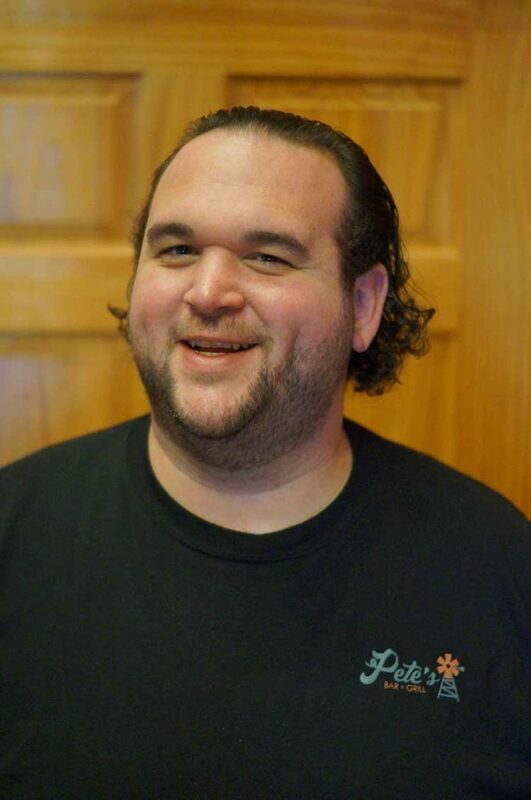 While in culinary school, he worked in many Muncie restaurants and interned at the Horizon Convention Center. After graduation, he left Muncie and moved to Indianapolis to pursue his dream of becoming a chef. After working as a Sous Chef for Bon Appetit Dining, he moved back to Muncie and became the Executive Chef at Ball Memorial Hospital. Caleb continued his culinary career and became an account chef for Eurest Dining Services. Caleb missed the local Delaware County connection, so he accepted the Executive Chef position with the Horizon Convention Center. Over the years, Chef Caleb has served his community as a board member of the Boys and Girls Club of Muncie and Ivy Tech Culinary Board. He is a member of Glad Tidings Church of Muncie. He resides in Muncie with his wife, Shawn and two daughters, Caroline and Ella. He enjoys fishing, spending time with family, and volunteering in the local community. He feels blessed to be part owner of Pete’s Bar and Grill and hopes you will enjoy your dining experience! Clyde Shaffer, Jr. graduated from Monroe Central in 1983. Working as a team with his four children, Clyde III, Josh, Cassandra and Jordan, he owns and operates Shaffer Genetics, an international hog supplier. He briefly attended Vincennes University but returned to the family farm where he and his wife Sandy now live in the home where he was raised. He served 24 years on the Monroe Central School Board and served as president of Economic Development of Randolph County from 2014 to 2018.. He strives to create an environment that will create jobs for Randolph County residents. 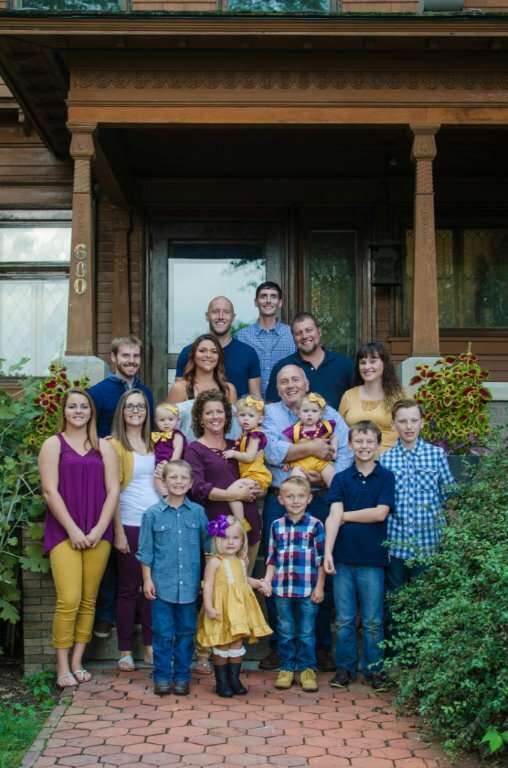 Clyde Jr. has nine grandchildren and hopes that with an improved economy and infrastructure, they will be able to stay and thrive in Randolph County. Josh has worked on the family farm on and off most of his life. After graduating from Monroe Central High School in 2006, he attended Tri-State University, where he studied accounting. 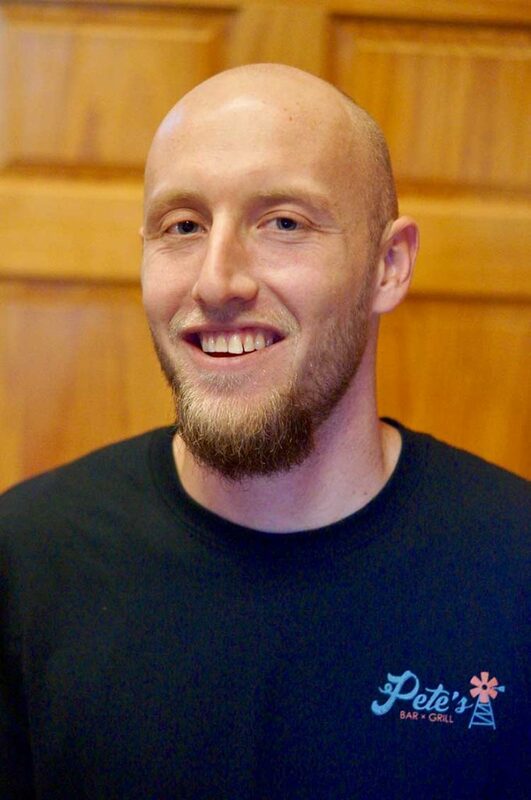 In 2012, Josh transferred to Ball State University where he earned his degree in accounting. He worked briefly for Waddell & Reed in Indianapolis as a financial advisor, but decided to return to the family business in 2013. He and his wife, Sarah, built their forever home just a block from the main farm, where they plan to stay and raise their two children, Xavier and Blakely. 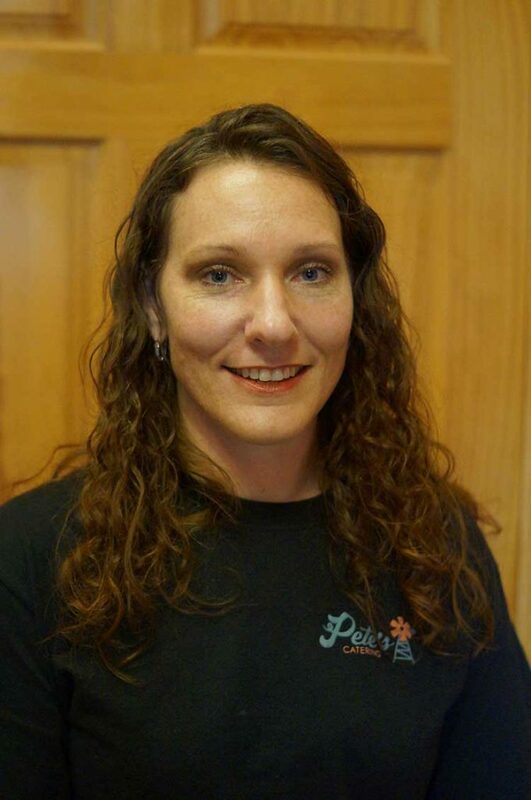 Jill Seals is the director of catering with Pete’s Bar and Grill. She is married to Chad and has 3 beautiful girls Kaylee, Aubree and Rylee. Jill graduated from Delta High School and Ambers Beauty College. She is a certified food handler. Jill has worked in the food industry for her father, Pete of Pete’s Duck Inn for the last 25 years. Jill enjoys preparing food for different events. 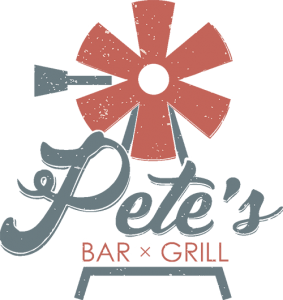 Pete’s Bar and Grill provides complete food catering services for a variety of events. We use only the freshest ingredients in our original recipes to create an experience that is memorable, unique, and filled with incredible food. You’ll find something to fit your needs in our catering menu, from your dream wedding to a business lunch. Experience the difference with Pete’s! © Copyright 2019 Pete’s Bar and Grill. All Rights Reserved.